How do I change the browser that gnome terminal opens links with? I'd like gnome-terminal to open links with the Chrome browser, but it insists on opening them with Firefox. My OS is Ubuntu 10.04. 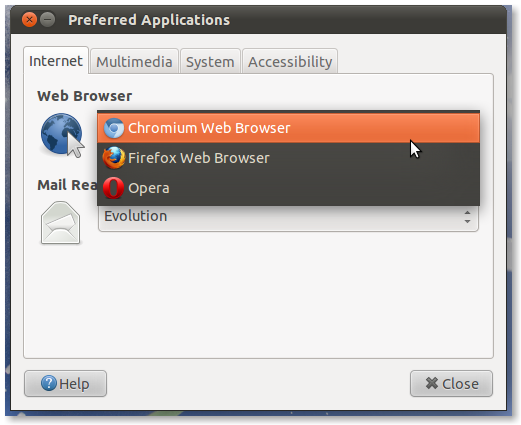 You should choose the default browser: Chromium Web Browser in your case. and using the 'default applications' in there to select my browser. How do I change the default browser that konsole opens URLs with? How do I stop Chrome hijacking link intent?